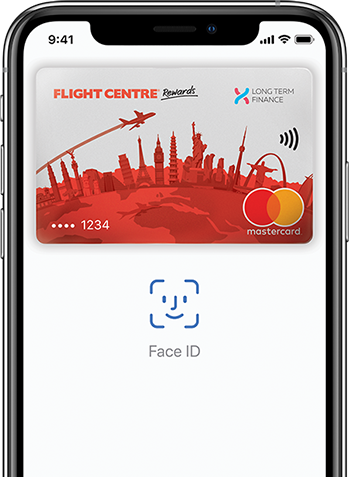 Flight Centre Mastercard® welcomes Apple Pay. Apple Pay is a trademark of Apple Inc., registered in the U.S. and other countries. Mastercard is a registered trademark, and the circles design is a trademark of Mastercard. 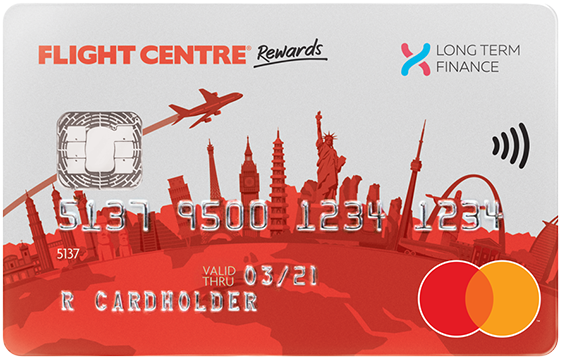 You can earn Flight Centre Rewards on all standard purchases and Long Term Finance deals. Make big ticket purchases on our interest-free and/or payment holiday terms. Use online, overseas, in store or at ATMs everywhere Mastercard is accepted. You can activate your card by selecting a PIN. To do that, log on to our Web Self Service centre or call us on 0800 500 450 from NZ or +64 9 580 7365 from overseas. Your customer ID is shown on the back of your Flight Centre Mastercard, the top right-hand-side of your monthly statement and on other correspondence that you may receive from us. Will my Flight Centre Mastercard be accepted overseas? Yes, your Flight Centre Mastercard is accepted around the world at retail outlets and ATMs, where you see the Mastercard logo.